Day supply is common industry measurement of retail customer sales demand. The lower the figure, the less time a vehicle remains on a dealer lot before it's sold. A 60-day supply is considered average for the auto industry. "What's helping drive Raptor sales is that Raptor delivers unmatched off-road performance to our customers," said Doug Scott, Ford truck group marketing manager. "Raptor is also proof of our commitment to offer a truck for every customer and continuously improving them to meet our customers' evolving needs." The 2014 Ford F-150 SVT Raptor Special Edition is the latest variant. 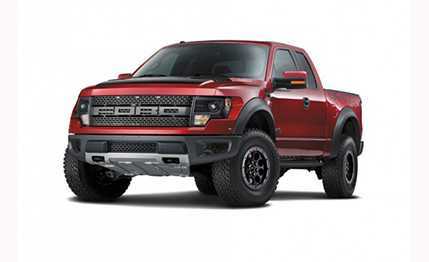 Following the 2013 Ford F-150 SVT Raptor, which added available segment-exclusive HID headlights and industry-first factory forged-aluminum conventional wheels that can be upgraded to beadlocks, the 2014 Raptor Special Edition adds interior and exterior upgrades to further differentiate its appearance and appeal to luxury truck buyers looking for uncompromising off-road performance. Since launching as a 2010 model, the Ford F-150 SVT Raptor has set the benchmark for low- and high-speed off-road performance through aggressive all-terrain tires, industry-exclusive internal triple-bypass FOX Racing Shox ™ dampers, skid plates and standard Hill Descent Control ™. A Raptor development imperative has been continuous improvement, so Ford expanded Raptor's footprint for 2011 with a four-door SuperCrew® model joining the two-door SuperCab original. For 2012 Ford began offering a grille-mounted camera to improve driver visibility when climbing over rocks or other obstacles. The 2012 addition of a Torsen®limited-slip differential to Raptor's 4WD system enables the truck to balance traction between both front wheels. For 2013 industry-exclusive beadlock-capable wheels were added to help increase grip in low-traction conditions, along with high-intensity discharge headlamps for improved visibility. 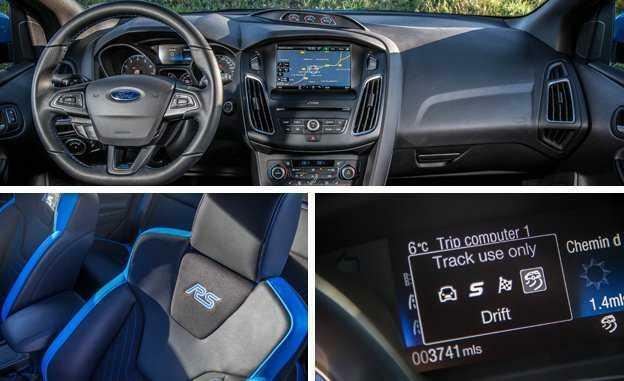 SYNC® with MyFord Touch® also was made available for added connectivity. The front axle features a Torsen differential with 4.10:1 gearing. The rear axle is also 4.10:1, with a high speed electronic-locking differential.